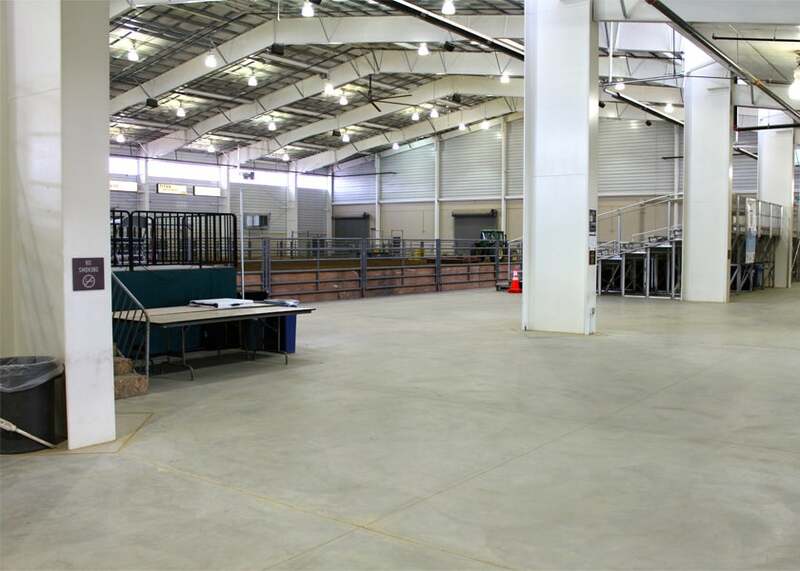 Most often used for agricultural and livestock events, the facilities within the Mac Equipment, Inc. building may also be configured to accommodate other types of functions such as sports competitions, dog shows and RV/auto shows. There is a total of 180,000 sq. 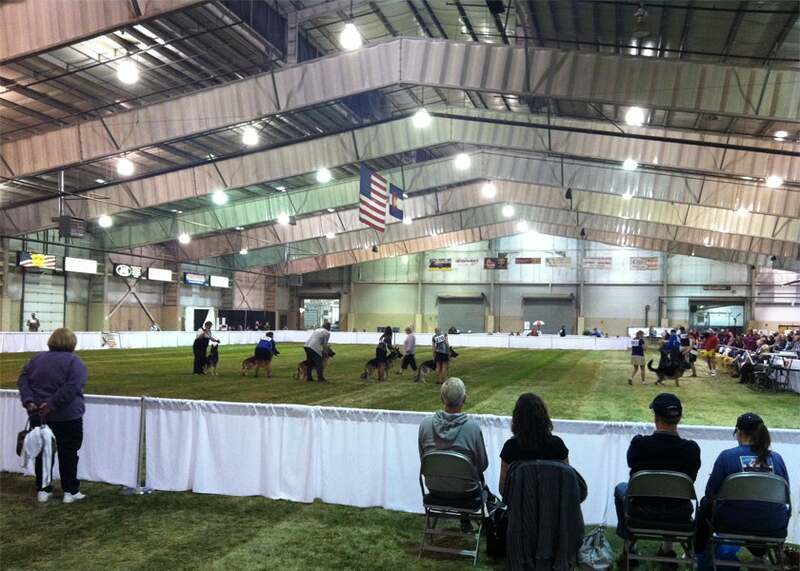 ft. all under one roof that can be used for one event or divided for multiple events. 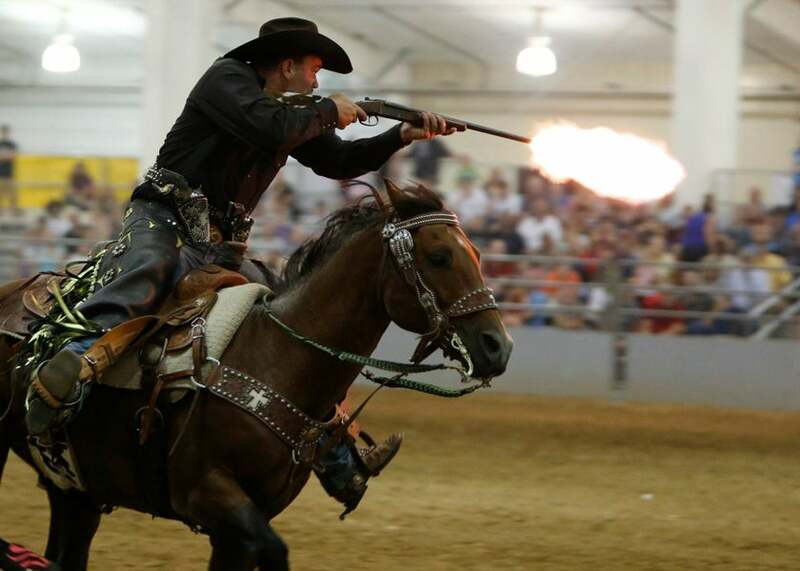 The Indoor Arena is a 150 x 300’ dirt floor arena versatile for all types of events. 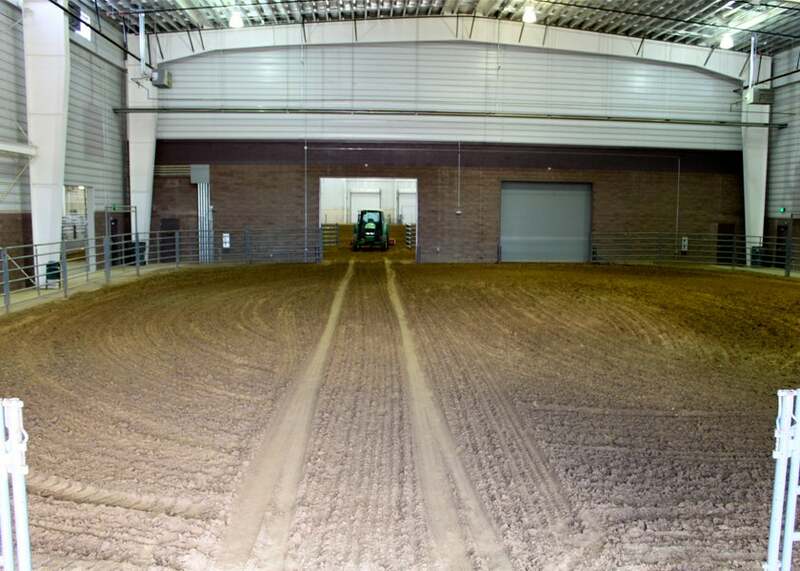 This arena is covered includes two climate-controlled show offices, a concourse bleacher seating, radiant heating and ventilation fans. 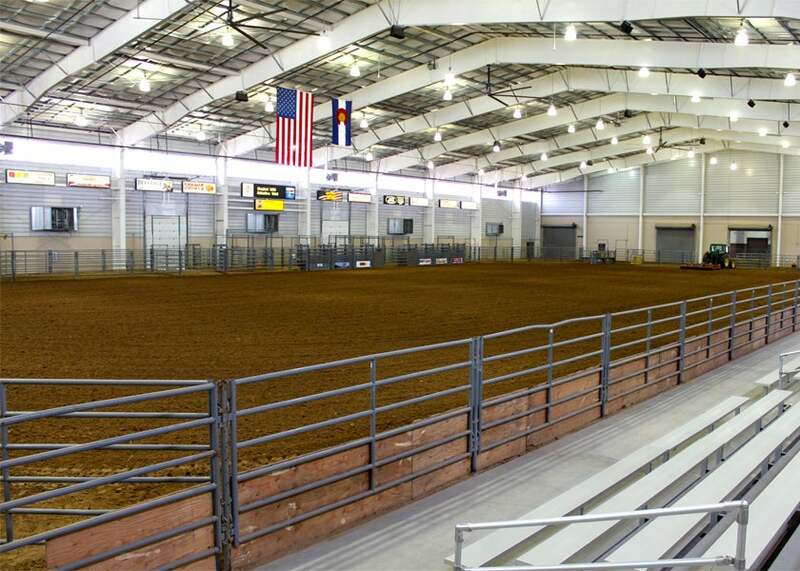 The 90x100’ dirt floor warm up arena is located between the Pavilions and adjacent to the Mac Equipment, Inc. Indoor Arena. 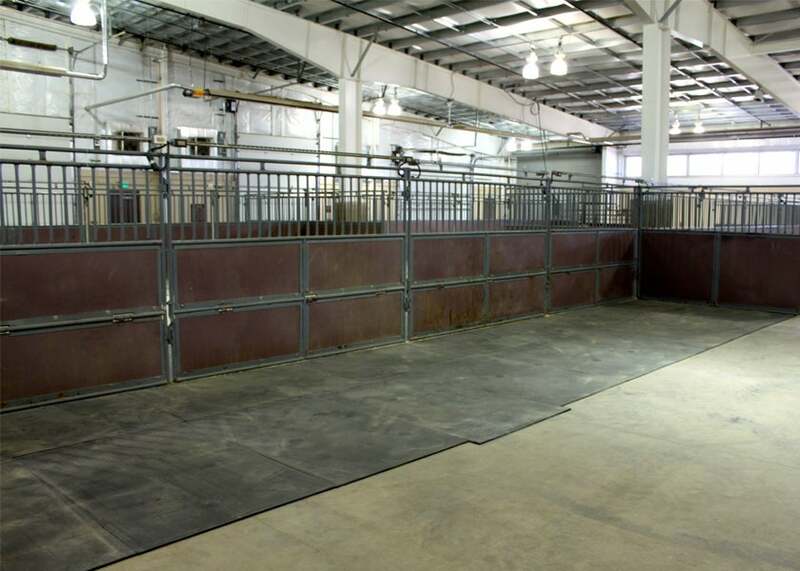 This flex space is perfect for an equine warm up arena, small animal sale ring, dog agility and more. 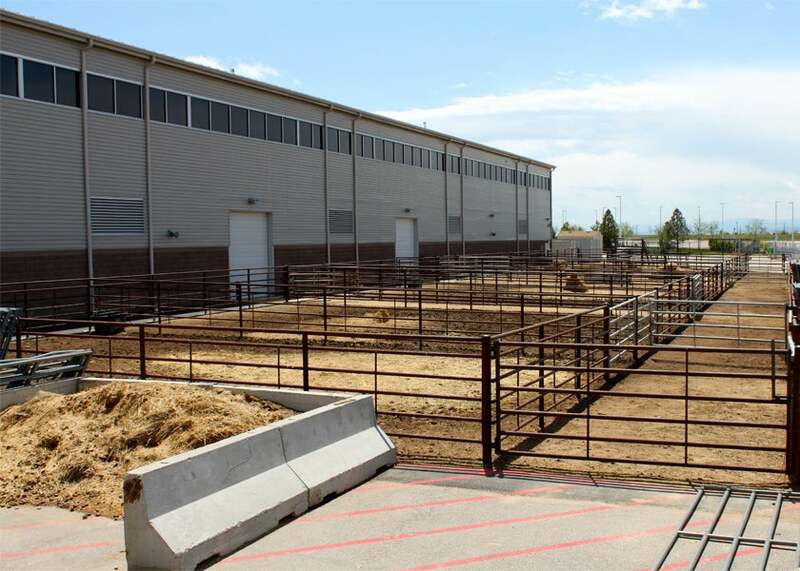 The Mac Equipment, Inc. Indoor Arena and Warm up Arena both boast Kiser Engineered footing to meet the demands the of any equine and livestock event. 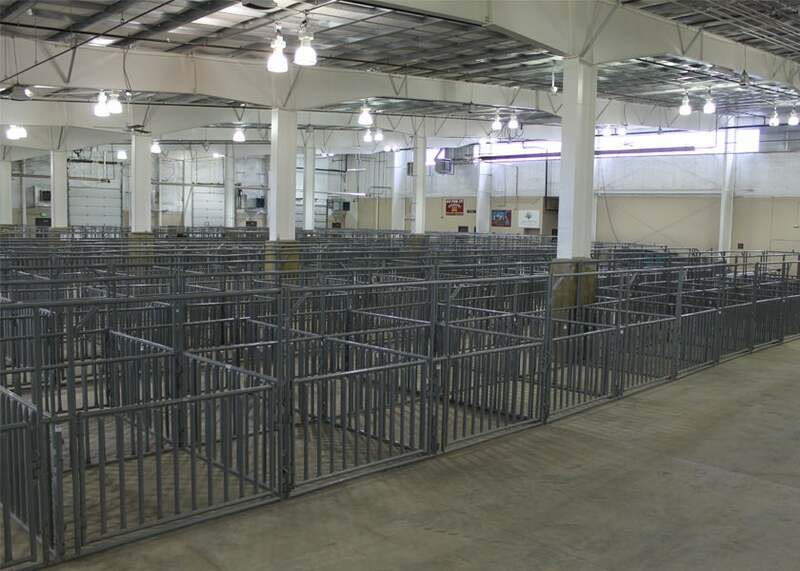 The East and West Pavilions are designed for multi-purpose use with concrete flooring. 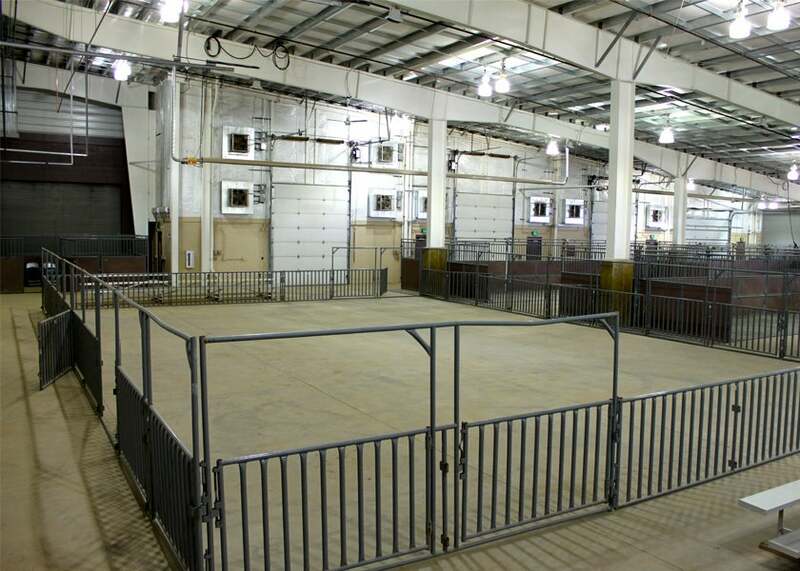 Both barns are equipped with drop-down electric plugs, temped wash racks for livestock washing and restroom/show facilities. 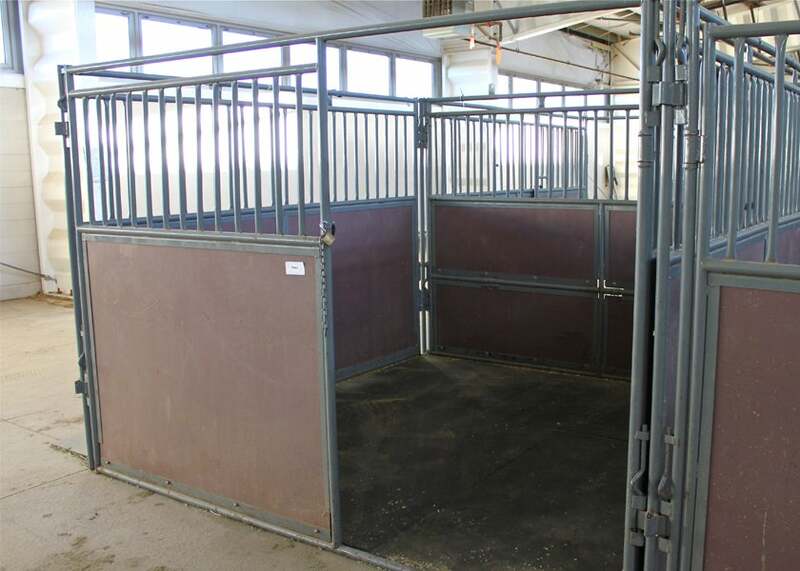 A total of 180 10x10 portable, rubber matted stalls can be set in each barn. 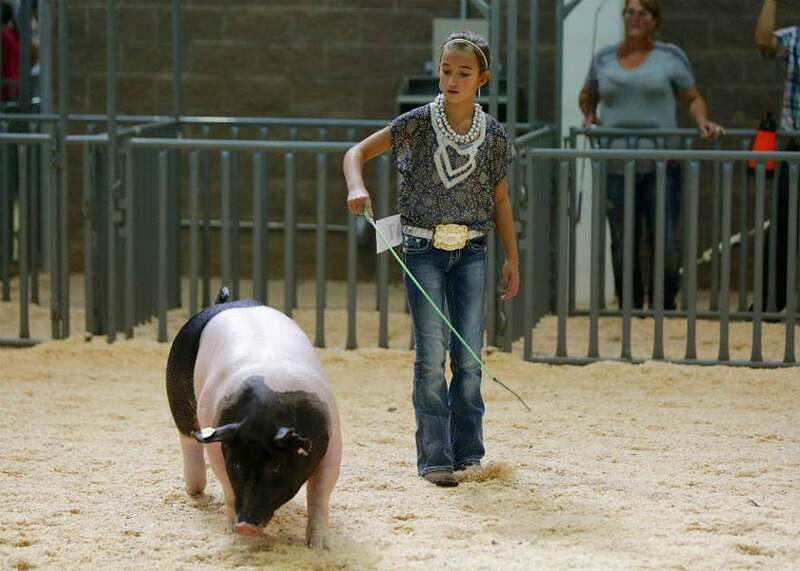 Complete with a Sound System and bleacher seating, the outdoor warm-up arenas are great for many outdoor animal events. 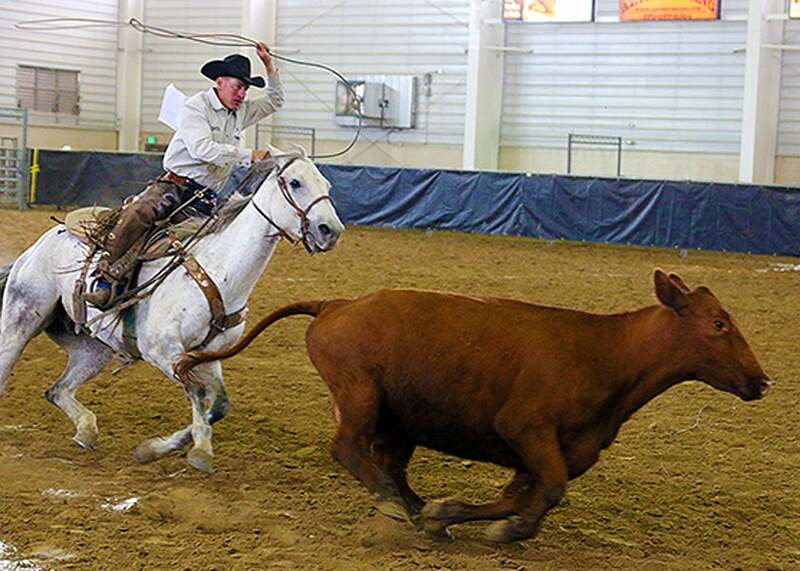 The Ranch's outdoor arenas are open for public use during daylight hours unless they have specifically been rented by an event.